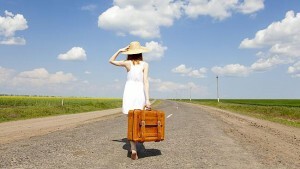 A girl in her twenties, travelling alone sounds scary. I had to go home due to an emergency. I also did not know anyone else in my college travelling on the same dates. I had never traveled alone before. It is a 24 hour journey from my college to my hometown. My friend suggested me to download this app called “OMitra”. I downloaded the app from the Google play store on his suggestion. On entering my information, I could chat with other people travelling in my train. On Signup I found it read all my PNR no from my SMS inbox, so no my all travel details easy to access, no more searching SMS inbox. On OMitraI came across this girl who was studying in the same city as I was. I had a small chat with her and I found she is on my route to Railway Station, we decided on sharing a cab to the railway station. Splitting the cab was a big relief. I did not have to worry about paying the huge amount all by myself. The best thing is that at OMitra my details are never shared with any male co-passengers so no spamming by unknown guys. We reached the station right on time. Thanks to the girl who was already on the train and informed us about the delay of the train through the app. Travel becomes so much easier by connecting with fellow passengers. that he was nervous because his wife was alone in a different coach. At that very moment, we got to know of the people who would be willing to exchange seats so that the two of them could sit together. Thanks to OMitra, he was no longer tensed and his wife could also travel with him safely. I made my Father install OMitra App on his smartphone. Each time I travel, I share my PNR with them which helps them track my train journey and delay of train every time.They get an update every 20 minutes. No more stress calling during journey where you can barely talk when train running. OMitra made my travel easier to a great extent. Now I don’t need to worry about forgetting my charger or medicines during my travel. My family can also stay ensured of my safety. Such App platform can redefine train journey experience in Indian Railways. Have you planned for 4 months later Travel?